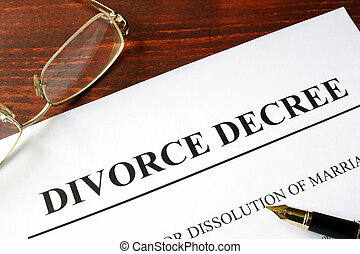 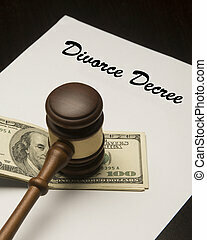 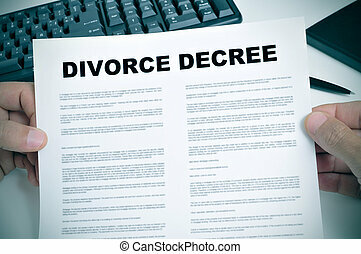 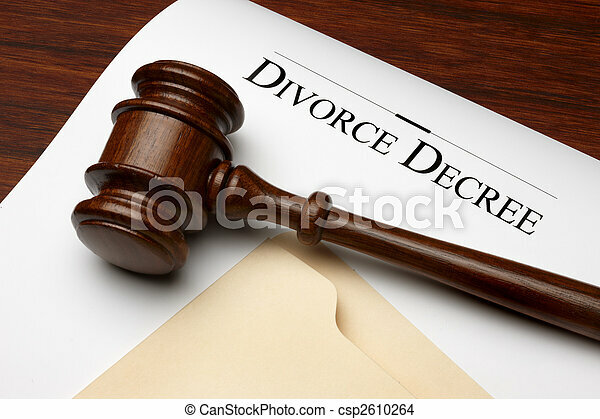 Divorce decree. 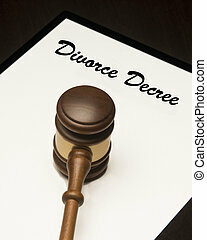 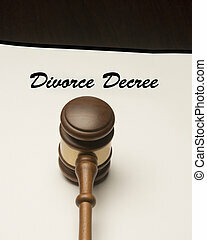 Divorce decree, gavel and folder shot on warm wooden surface. 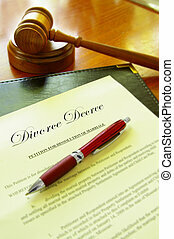 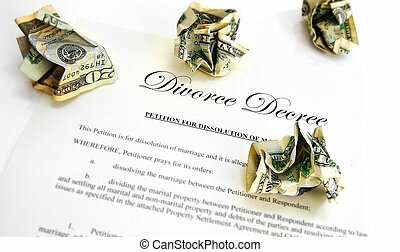 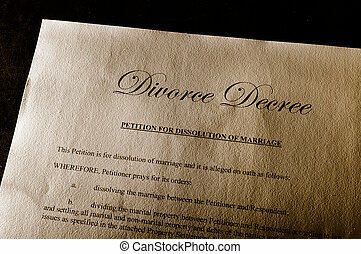 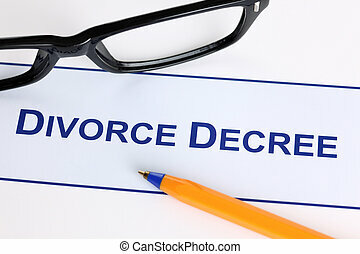 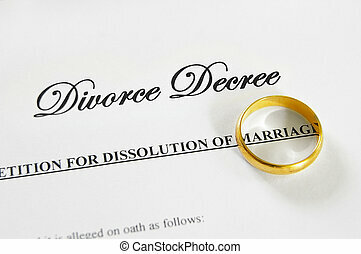 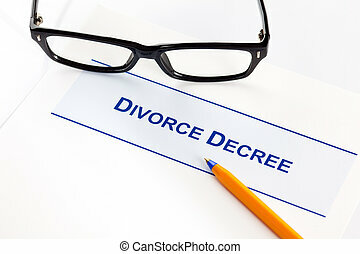 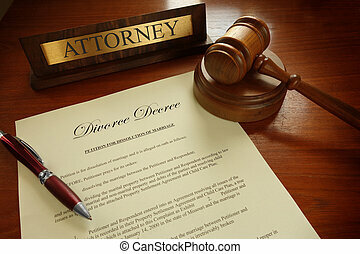 Divorce Decree with glasses and ballpoint pen. 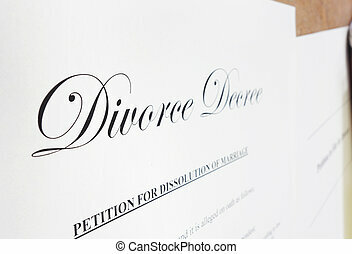 Detail of divorce decree. 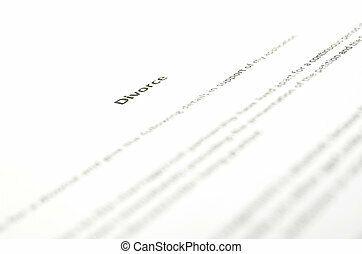 Focus on word Divorce. 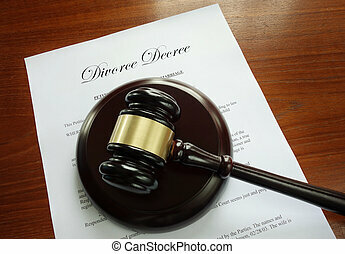 Divorce Decree with black glasses and ballpoint pen.